VegFund is a non-profit grant-making organization that provides over $1 Million in grant funds to thousands of activists around the world each year. 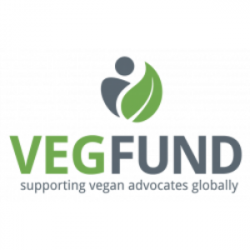 VegFund’s mission is to support vegan activists through grant funds and capacity building to spread a vegan message and achieve a world free from harm of all animals. Founded in 2009, VegFund recently launched a new website, new grant management system, and a new community forum, all in an effort to grow our grantee base while better understanding the impact of the work of our grantees. We seek a candidate willing to help us utilize these new tools. VegFund does not currently have an office – all organization employees work remotely, based around the world in DC, Portland, Mexico, the UK. As such, the ideal candidate would be independently motivated and willing to work from home.